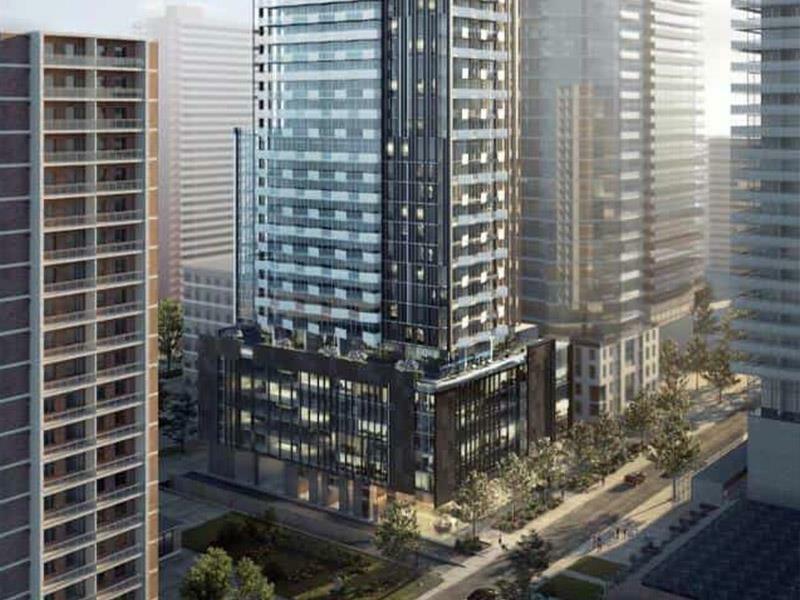 55C Condos - Maziar Moini Broker Home Leader Realty Inc.
55C Condos is a new condo project by MOD Developments and is currently in pre-construction. 55C architect is designed by architectsAlliance. The new project will be located at 55 Charles Street East in Toronto. The major intersection is Yonge Street & Bloor Street East. Another mixed-use development is on its way in Toronto, right by there are flourishing Church & Wellesley neighbourhood and Bloor-Yorkville area. Featuring residential units including rental suites as well as townhome units, the project is ambitious and the perfect addition to the urban city centre. 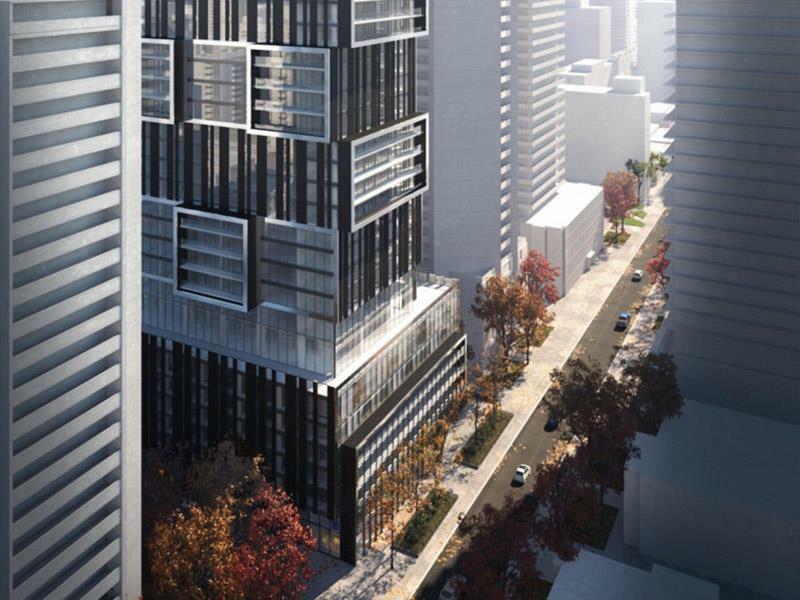 MOD Development’s newest venture 55C Condos will be comprised of a podium and extensive tower. The project will span 55 and 61-63 Charles Street East. This expansive project will be an accumulated 55 storeys, standing at 169.25 metres tall. Including the luxurious penthouse, the tower will stand 178.25 metres. It will also feature a 6-storey tall podium. The development will span approximately 474,400 square feet of gross floor area. The impressively sized condo project will provide ample room for residents, as the tower will boast a whopping total of 648 residential units. The tower will house 548 condominium units, and 100 designated rental units. The latter will replace the existing ones currently on the project site. The rental units and its related amenity space will sit on levels two to six of the 22.2 metres tall podium. The rental units will be split up into 20 bachelor units, 75 one-bedroom units and 5 two-bedroom units. Residents of these units will have access to storage lockers, laundry facilities, lounge facilities and more. The double-height lobby will be accessible to both condo residents and rental residents. The tower’s residential units will be available in a variety of layouts, comprised of the following balance: 66 bachelor units, 291 one-bedroom units, 128 two-bedroom units. The building portion of the development will be comprised of a lower and upper tower, respectively spanning levels 8 through 17 and 18 through 55. The 55th level will feature a luxurious mechanical penthouse. The suite will be integral to the modern design of the tower, as it will be concealed by an open-air screen. The remaining 7 units will be townhouse units, which will sit on the western portion of the development’s podium base. The two-level homes sitting at ground level will be available in two- and three-bedroom layouts. Each townhouse unit will come complete with a 2.4-metre private terrace, and planting bed. Residents will additionally be able to enjoy quiet alone time thanks to the included privacy screen between each terrace. Residents will have no shortage of amenities, as the podium and lower tower will be connected be a 7th floor, that will be dedicated to 13,950 square feet worth of facilities. These aren’t limited to a media room, meeting room, lounges, gym, and a party room with a kitchen. All varieties of units will have shared 9,200 square feet of outdoor space. This will include several outdoor lounge areas, a barbeque area, dining space,m and a scenic roof garden. This really just means that hosts will have the ideal space for holding summer time events outside -- with space for cooking and lounging and unbeatable views, what could be better? You can’t get more central than this real estate development’s location in the Bloor-Yorkville/North Midtown neighbourhood. The area is defined by its impressive and lavish collection of luxury condos ranging from low-rise to high-rise -- and this modern development is the perfect addition. Residents will find themselves in the center of everything, with prime access to the immediate area’s high-end fashion and dining. Yorkville and the Bloor Street strip together are home to countless high-end fashion brands not limited to Holt Renfrew, Aritzia, Burberry and Anthropologie. The neighbourhood -- especially Yorkville -- is aso home to some of the city’s finest dining, not limited to notable restaurants like Sassafraz and Cafe Nervosa. To top it all off, the area of Bloor between Church Street and Avenue Road is currently undergoing major revitalization, proposed to incorporate landscaping, widened granite sidewalks, public art, street furnishing and new lighting. Clearly, this is the area to invest in. Being placed near the Bloor-Yorkville area also will give residents access to two of the city’s major subway lines -- the Yonge line and Bloor-Danforth line. After all, the area boasts an unsurpassable walk score of 100, and a transit score of 97. Cyclists will also be able to make the most of the location, as it boasts an impressive bike score of 88 out of 100. The building sits around 400 metres walking distance from the Bloor-Yonge station, making it ideal for all lifestyles from students to business professionals. The site is close to the city’s major universities including Ryerson University, University of Toronto and OCAD. Business professionals will also benefit from being close to the city’s plentiful job opportunities in hubs like the Financial District (which is steps away) and the Entertainment District. In addition to be located centrally by transit, shopping and restaurants, residents need not look far to find attractions like The Royal Ontario Museum. Investors will want to take note of the urban, luxurious neighbourhood of the development.